...no greater crime has ever been committed than the genocide organized by the pharmaceutical drug cartel in the interests of the multi-billion dollar investment business with disease. Hundreds of millions of people have died unnecessarily from AIDS, cancer, heart disease and other preventable diseases and the only reason that these epidemics still haunt mankind is that they are the multi-billion dollar marketplaces for the pharmaceutical drug cartel. The world has never experienced a larger, more profitable and bloodier fraud than that perpetrated by the pharmaceutical drug cartel. For more than half a century it has built a global monopoly in health care based on this fraud: the drug industry promises health to millions of people yet the entire industry’s existence depends on the continuation and expansion of diseases as the marketplaces for its patented drugs. By following the timeline laid out in these pages, readers can learn more about the dark history of the pharmaceutical drug cartel and the concerted efforts that have gone into the development and execution of its deadly fraud. 1974: The Kissinger Report on "Population Growth"
1997: Corporate Interests Plan "New American Century"
"The medical establishment works closely with the drug multinationals whose main objective is profits, and whose worst nightmare would be an epidemic of good health. Lots of drugs MUST be sold. In order to achieve this, anything goes: lies, fraud, and kickbacks. 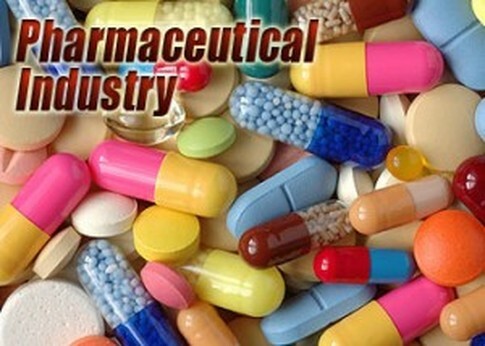 Doctors are the principal salespeople of the drug companies." Guylaine Lanctot, M.D. NFL cheerleader suffers brain damage after getting flu shot (watch the video). Medical doctors warning about dangerous side effects of flu vaccine and flu drug. Dr. David Ayoub, M.D. lectures on Vaccines, Mercury, Autism and other disease. A growing number of scientists world-wide have publicly denounced the total failure of the HIV/AIDS hypothesis, questioned the meaning of the "AIDS test", and criticized the use of AZT which has been proven to be a toxic poison that makes the patient sicker and is actually the cause of AIDS deaths. The group includes scientists such as Kary Mullis, who won the Nobel Prize for chemistry in 1993 for inventing the polymerase chain reaction used to test for HIV. The Origin of AIDS: Man-Made Holocaust? Protease inhibitors and antiviral drugs with mitochondrial toxicity: AIDS treatment with consecutive death. 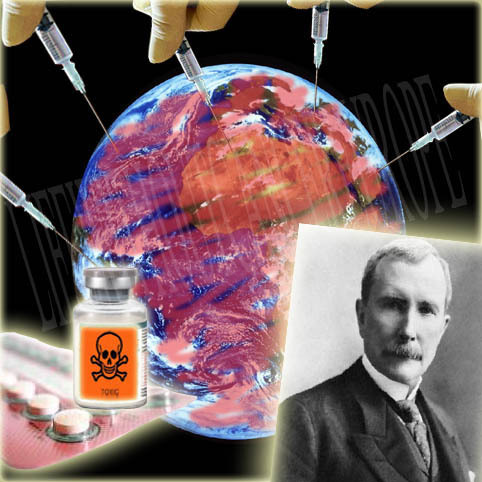 'The Secret AIDS Genocide Plot' Dr. Alan Cantwell, MD. A powerful video reveals the modern medical-industrial complex’s dire descent into utter corruption. HIV/AID$ - A deadly and dangerous DECEPTION! AIDS in Africa: lies and deceptions an orchestrated pandemic of lies and deceit, sweeping across the globe via a Western-controlled media campaign. - The "AIDS test" is scientifically invalid - President Mbeki's Letter to World Leaders. AIDS/HIV/AZT: medical fascism In Cananda and the USA parents are forced to administer AZT, a toxic DNA chain terminator and known carcinogen, to their newborn children. The Origin of AIDS: Man-Made Holocaust? A WHO official admitted, "Now I believe the smallpox vaccine theory is the explanation for the explosion of African AIDS." Robert Gallo added, "The link between the WHO program and the epidemic is an interesting and important hypothesis. Do you have a question about holistic health or need assistance? Doctor Robert Gallo who discovered the HIV virus said that there is no legitimate dissent when it comes to AIDS. But there are more than 5,000 physicians, microbiologists, journalists and activists who disagree and say that we have been misled about the real causes of AIDS and the nature of its treatment. The mainstream media has chosen not to provide an outlet for their opinions. In this important film, documentary filmmaker and health expert Gary Null, traveled to more than 30 countries over an eight year period to seek them out and get their interviews. This is the first film on AIDS that brings the most compelling of their arguments together in one place. Dr. Null blows the lid off the wealthy AIDS industry and shows how greed and corruption have prevented any real progress in fighting the epidemic or its underlying causes. The film challenges the entrenched notion that AIDS or HIV is an African monkey virus that is spread sexually and can be "treated" with harmful drugs. Instead, the film considers the common underlying conditions of the epidemic, such as malnutrition, unclean water, poverty, illness, and poor lifestyle choices. ​The evidence is damning, and a clarion call to the public that the AIDS Industrial Complex is on the wrong track and has become a spending juggernaut completely out of control. State Origin : The Evidence of the Laboratory Birth of AIDSAs America celebrates the 225th Anniversary of the greatest democracy in the world, author Boyd E. Graves, J.D. exposes the shocking evidence of a century long national obsession with ethnic genocide. Rationalized by the economics of population policy, legalized by Congress, and fueled by pharmacuetical propaganda. Dr. Graves outlines how the AIDS pandemic was manufactured and proliferated by government contracted laboratories.